ROSÉ-style wines continue to grab growing attention from those of us who enjoy lighter reds that can be served chilled, particularly shared with equally lighter seafood and Mediterranean dishes: since 2005 Rosé sales in Australia have grown by over 100% – with certainly no signs of the trend slowing. 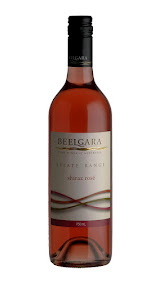 A just-released 2006 Beelgara Estate Range Shiraz Rosé from the NSW Riverina should further aid this popularity, as not only has it plenty to offer in the way of flavour and drinkability, the $7.99 price tag is extra encouragement for those who’ve not given much thought to Rosés in the past. 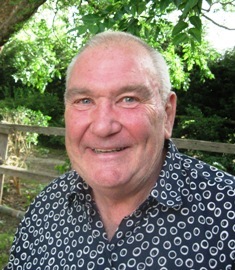 Beelgara’s new Chief Winemaker, Rodney Hooper said his team had aimed at creating a fruit-driven wine with what he called “loads of character” with this Rosé. Rodney, who has worked in California, France, Germany and here at wineries including Charles Sturt University Winery at Wagga Wagga and Leasingham in the Clare Valley, is full of praise for the Riverina region. The 2006 Beelgara Estate Range Shiraz Rosé is loaded with lingering ripe-fruit flavours, and has plenty of characteristic strawberry and cherry aromas; sealed under screw cap for easy opening, its ideal to take along to a picnic and enjoy chilled with a cold seafood platter.